The School of Economics and Management, Tongji University (Tongji SEM) has received a five-year certification for business education from both theEuropean Quality Improvement System (EQUIS) and the Association to Advance Collegiate Schools of Business (AACSB), becoming the 7th business school in China to receive the two most authoritative international business education certifications. "The AACSB certification represents the highest achievement of a business school," said Robert Reid, executive vice president and chief certification officer, AACSB. "Tongji SEM meets 15 international standards for certification and demonstrates its achievements in engagement, innovation and influence." "Globalization, application-oriented and sustainability are the three components of our positioning," said Huo Jiazhen, dean of Tongji SEM. "Shanghai will play a world-class role in urban economic and commercial fields in the future, as will Tongji SEM in the international business education field." The school's professors and students jointly create new knowledge for and contribute intelligence to the economics and management sectors across three disciplinary platforms: project management, urban management and service management. The school undertook a study of how project management was handled at Expo Shanghai, the Shanghai Hongqiao Comprehensive Traffic Hub, the Urban Sustainable Development Indicator and several of China's innovative industrial parks, and used the findings to formulate their teaching and research system which combines practice, scientific research and education. 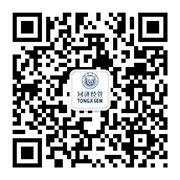 Tongji SEM has enrolled almost an equivalent number of Chinese and foreign students each year. The school has engaged in extensive project collaborations with over 70 world-renowned colleges and universities in 15 countries and regions, providing opportunities and support for the student body. Mr. Huo expects an even higher caliber of student and professor to seek to study, engage in research and teach at the school. The school has set up a set of rigorous standards for its international partners. After winning the international certifications, the school plans to more carefully screen and select students, teachers and partners, further improving quality. In addition to the five-year certifications from EQUIS and AACSB, Tongji SEM has also received certifications from AMBA, CAMEA and PMI-GAC. "We will continue to promote responsible and sustainable management education," said Jin Fu'an, secretary of the party committee at Tongji SEM. "We aim to contribute to a new round of economic development in Shanghai and across China, through production of knowledge within the scope of our abilities."